Even sassy urban princesses go on tropical retreats: warm up your eyes with year-round, summer-toned beauty. Breezy blues and sea glass greens dance with peony pinks and lilting lilacs. Sand dune taupes and ocean-splashed grays are as coolly lovely as a late summer sunset. 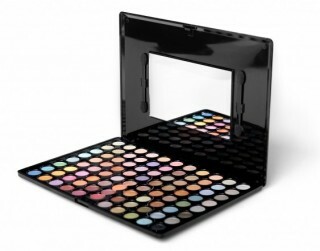 BH Cosmetics has kindly offered a Mommy's Moments reader their very own Eye Shadow Palette!! My favorite is the 2nd edition 120 palette! I like the 3rd edition the best! I like the 2nd edition palette! My favorite is their 88 Color Cool Matte Palette. I like the 88 Neutral Color Palette. I like the 120 color palette 3rd edition. I like the 88 Color Shimmer Palette. Thanks for the giveaway! My favorite is the 28 Neutral Color Palette. I like the 88 Color Neutral Eyeshadow Palette the best. 88 Color Neutral Palette is what I like! I like the 88 Color Tropical Shimmer Palette. It has a lot of colors that I would use. I like the 88 color matte palette. Michael.